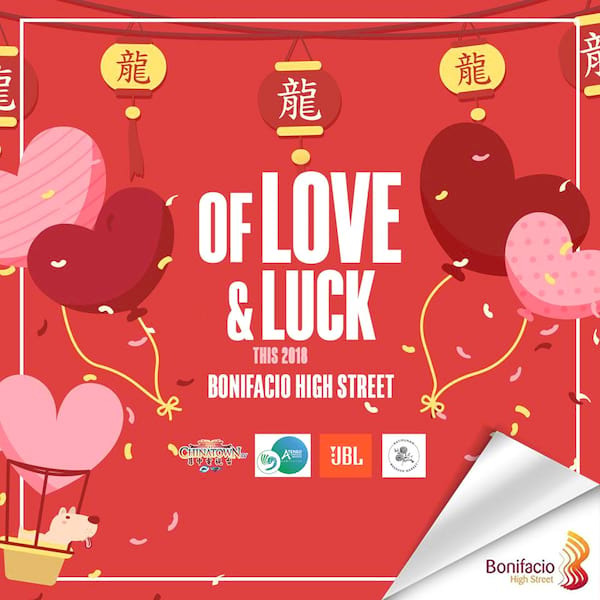 Feel the kilig and find fortune only in Bonifacio Global City as a jam-packed weekend awaits BGCitizens and visitors in celebration of February’s two biggest events. Rising in the middle of Bonifacio High Street is a giant fairytale book with a sweet reminder that Happily Ever After exists. Take a selfie with your loved one (or ones!) and show the world why yours is one of “The Greatest Love Stories of All Time.” Upload your photo on Facebook or Instagram with #iloveBHS, and tag Bonifacio High Street (@bonifaciohighstreet) for a chance to win the ultimate dinner date from BGC. As a special treat, BGC is hosting a Valentine’s concert featuring the best of OPM on February 17 (Saturday) at 7PM. Happening at the Globe Iconic BHS Amphitheater, Ensemble: A Valentine Concert will showcase a powerhouse line up with some of today’s hottest indie and mainstream music artists. Catch Ebe Dancel, Bullet Dumas, Clara Benin, Johnoy Danao, and Reese Lansangan along with the Manila Philharmonic Orchestra Quartet as they serenade with timeless OPM hits. Save the dates BGCitizens! The Valentine’s and Chinese New Year’s festivities are celebrated in partnership with Globe Live, Chinatown TV, JBL, Katipunan Weekend Market, and the Ateneo Confucius Institute. For more information, visit BGC’s official Facebook pages at https://www.facebook.com/bonifacioglobalcityph and https://www.facebook.com/BoniHighStreet.